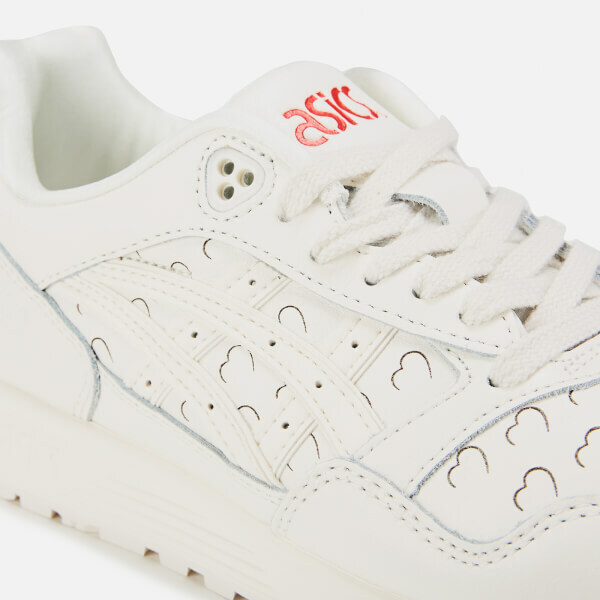 Inspired by heritage Asics styles, the 'Gelsaga Love Heart' trainers have a smooth cream leather upper decorated with a love heart print. Originally released in 1991, the white sneakers are designed with a GEL cushioned midsole for long-lasting comfort, contrasting red leather branding on the heel and signature tiger side stripes. An EVA cushioned midsole absorbs shock and a textured rubber outsole offers added grip. 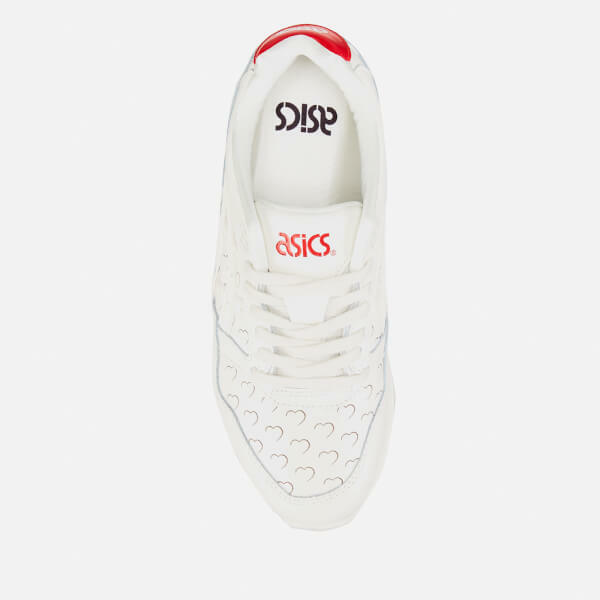 A comfortable padded ankle collar and Asics branding throughout complete the sports-inspired design.